Born and bred in Newcastle, England, Brown has been an integral part in Brian ?Bomber? Brown?s squad for the new season which has seen the 25-year-old rise amongst one of the finest left-backs in the competition. ?It?s been a good year so far for the squad and for myself but I still believe we are yet to play our best football. ?It?s a fairly new team so it has taken time to settle in with all the new faces but ?Bomber? has done well in getting us all to gel as a team unit. ?In terms of the competition itself, it has been very tight and we are only two points behind the league leaders so we can all see that the lead may well change on a weekly basis, it?s been ultra competitive.? The former Feyenoord and Australian youth international has always wanted to play under the direction of Brian Brown and 2010 saw his dream become a reality after he spent a season in the Scottish First Division with Airdrie United. ?I heard quite a lot about ?Bomber? when I was here and even when I went overseas and said that I would like to play under him one day and when the opportunity came about after returning home I jumped at the chance. ?From what I have seen so far it is what I expected as he is a good coach and puts on great training sessions as well as sets our minds on playing good football weekly.? Brown was part of the NSW Premier League two seasons ago when he was playing his trade with the Macarthur Rams before taking the opportunity in playing in Scotland which was an experience and eye opener for the tough tackling left-back. ?I spent a year at Airdrie and it was certainly an experience. ?I had originally gone to England for trials with English League One side Tranmere Rovers but things didn?t work out there. I ended up in Scotland and trained well with Airdrie who then signed me for the season. ?The game itself was very direct as the game was played at an explosive speed as you were always put under pressure, it taught me a lot. ?At the end of the year the club offered me a six month extension to my contract but wanted to cut my salary which was something I could not accept and there was no point me hanging around. ?I went back to my home in Newcastle where I was training with Conference side Gateshead FC but there wasn?t really anything happening there so I decided to return home and took the opportunity to sign with the White Eagles.? Part of Brown returning back to Australia was the lure of the possibility of playing in the A-League something the Newcastle born star hopes to achieve in his list of goals. ?First and foremost I want to win silverware with the White Eagles. We have a solid side and I hope we can replicate this with some trophies for the club and our fans. ?Secondly getting a chance to play in the A-League would be up there as a big goal of mine. ?Bomber? has changed my position to left-back, a position I was playing in my second year at Feyenoord a couple of years ago in the hope of gaining more attention from respective A-League clubs. ?I have been confident with my new role and I hope that it does lead me into bigger things in my career. ?I haven?t ruled out the dream of going back abroad one day but I want to take things one step at a time and concentrate on winning things at Bonnyrigg first.? The White Eagles will face a stern test in the shape of Sydney Olympic this Saturday in a game tipped to be full of excitement and fireworks as both clubs chase the three points to add to their tally for 2010. ?Sydney Olympic have got a quality team and have hit their straps in the last few weeks so I know we are in for a very tough game on Saturday. ?I know that they didn?t start on the right foot but they seem to be coming good slowly so we need to be careful about this. ?I do believe though that the win against the Suns last weekend was much needed and it has spurred us on for this match and if we play to our potential then we shouldn?t have a problem. ?We want to win this week for our club and the fans who have been great for us this year.? Brown signalled out a special shout-out to White Eagles goalkeeper Phillip Zabaks who was unfortunately injured two weeks ago and suffered a fractured skull which shocked many in the NSW Premier League community. All prayers were answered that Zabaks has commenced his road to recovery with Brown wishing him all the best. ?It shocked all the boys when we heard the news what Phil was going through but thankfully it turned out well and he pulled through. ?He?s a strong lad and I know he will be back better than ever, it?s just one of those moments where you don?t think could happen in football but it did.? Finally Brown was asked what his thoughts were about seeing his beloved Newcastle United, a place where he grew up until the age of 12, gain promotion back into the English Premier League after a year of wilderness in the English Championship, his reply was quite simple. ?I watched the English Championship more the English Premier League this year, they are back where they belong and I hope they stay there for years to come.? After falling behind to a Daniel Severino strike late in the first-half, Robbie Cattanach scored for Manly United FC 15? minutes from the end to secure his side a share of the spoils against the highly fancied White Eagles. The match provided a fiery opening with neither set of players holding back with their challenges. On the 6? minute Nathan Elasi used his pace to beat the oncoming Brad Swancott to the ball on the right-flank. Elasi?s fine touch setup the space for the former Melbourne Victory midfield to unleash an effort on goal though, from an acute angle, the retreating Manly United defence managed to get a body behind the ball to take the heat off Elasi?s stinging effort. The resulting corner presented Jamie McMaster with a loose ball on the edge of the penalty-area. His powerful drive was skewed across goal, though picked out Brad Boardman at the far post who could only manage to head McMaster?s powerful effort goalwards with little power. In the 10? minute, free-kick specialist Daniel Severino lined up one of his left-foot treats from distance. Severino?s effort carried a punch though was too central as Manly United shot-stopper Swancott parried the effort to safety. The visiting side?s first forward foray of note arrived in the 11? minute as the experienced Craig Midgley weaved his magic down the right-flank. Midgley?s whipped in effort had the White Eagles on the back foot, though the defence managed to retreat and divert behind for a corner. Midgley was in the thick of the action again moments later as his lunging effort released Robbie Cattanach behind the Bonnyrigg defence. Marsahlled brilliantly by Vuko Tomasevic, the White Eagles defence diligently thwarted the danger. At the other end, Milorad Simonovic squandered a glorious chance when released through on goal. With only the goalkeeper ahead of him, and the threat of a Manly United defender breathing down his neck, Simonovic opted to shoot first time directly at Swancott for a routine save by the Manly United goalkeeper. White Eagles goalkeeper Phillip Zabaks was called into action to pull off a fine save down to his left. Joseph Gibbs beat the offside trap with a perfectly timed run behind the defence, testing Zabaks at his near post from a sharp angle. On 28? minutes, Manly United nearly got the break through. Cattanach?s powerful drive to the right byline saw the striker deliver a perfectly floated cross to the back post into the path of Keith Shevlin. The midfielder?s lunging effort was on-target, though denied by an exceptional goal-line save by Zabaks, retreating back across his line, much to the relief of the home crowd. Manly should have taken the lead on 38? minutes when Andrew Mailer played Joseph Gibbs through on goal. The Manly United striker, with only Zabaks to beat, failed to find the opener ? denied by an outstanding Zabaks save down to his left. Bonnyrigg?s response arrived via a set-piece in the 40? minute. McMaster?s corner to the near post from the right found Boardman, though the striker?s glancing header lacked precision and failed to force Swancott into a save. Manly United did find the back of the net on 45? minutes via Pascal Julliard?s tap-in, though the referee quickly brought celebrations to a halt for the defender?s offside positioning. A fine glancing header by Cattanach was again parried by an in-form Zabaks, though the loose ball fell into the path of Julliard who was in an offside position. Against the run of play in the closing stages of the half, the White Eagles quickly turned attentions to attack and found the opening goal via Severino. The White Eagles playmaker received the ball on the right side of the penalty-area and cut-back onto his preferred left foot to finish with aplomb past the helpless Swancott. Jimmy Oates stung the palms of Zabaks in the early exchanges following the break ? the White Eagles shot-stopper again proving his worth with a fine save. The visitor?s best forward forays continued to arrive via the feet of Midgley, though in the final third, the White Eagles defence remained unyielding. Shy of the hour mark, Bonnyrigg lost goalkeeper Zabaks due to concussion following a clash with a Manly United opponent. The shot-stopper was stretchered from the field and taken to hospital for further examinations, allowing Ali Akbal some game time. Akbal too was impressive, leaving his line confidently to claim a cross for his first touch of the evening. Bonnyrigg came to life, after the sluggish start to the half, as Shane Webb cleverly picked out Boardman with a floated cross from the left-flank. Boardman headed goalwards with power though was denied by Joey Schirripa ? much to the discontent of the home supporters who were certain a hand was used by the Manly United captain. Manly United continued to search for an equaliser and Cattanach was the next striker to test the White Eagles? defence. The former NSW Premier League Player of the Year cleverly created a yard of space to unleash a diagonal effort across goal, though again Akbal did well to get down to his right and parry the ball to safety. Cattanach did make amends in the 74? minute as some loose play in the White Eagles defence allowed the striker a look-in on goal. Cattanach, with a powerful effort, drove the ball underneath the crossbar to deservedly draw the visitors level. The home-side?s response was one of frustration as the wheels started to come off with some poor passing across the park. On 85? minutes though, a neat cross from substitute David Gullo found the feet of Tomasevic in the penalty-area. The Bonnyrigg captain turned sharply to get an effort away, though the ball scraped the paint on Swancott?s left-hand post. Shane Webb took matters into his own hands moments prior to the 90? minute with a fine slalom effort to create the space for a long-range effort. Webb?s shot packed a punch though finished wide of the intended target. In the closing stages, Jimmy Oates nearly grabbed the headlines with what would have been an exceptional winner. The youngster picked up the ball on the right-flank and beat his marker with a nice cutback onto his left peg; the final effort though glanced inches wide of the up-right in what proved to be the final goal scoring opportunity of the night. ?We started really well tonight, and played a positive first-half, though we really lost our way in the second-half with some very poor passing and decision making. ?Credit to Manly, at times you can only play as well as your opponent allows you and tonight Manly really went for it and made the task for us a difficult one. ?I am disappointed not to have picked up an extra two-points, though the season is still long and we have to continue to put in the work required,? ended Brown. ?I have to commend the boys on their attitude tonight. To come to Bonnyrigg and pick up a point is a huge result, and we have gone through a difficult run of late. ?The performance tonight shows just how hard these boys have worked, and I am very pleased with their efforts tonight. ?I think, on the whole, the point is good, though we did create a number of chances and perhaps could have come away with something more in the end,? Moss ended. In the Grade 20 division, Manly United FC ran out convincing 3-1 winners over the White Eagles. Yellow Cards: Roberto Hamad 15?, Jimmy Oates 90?, 90?+3? This top of the table clash started with the home-side dominant as Tolgay Ozbey and Mitchell Long were the spark for some good early half chances. With Bonnyrigg yet to get settled Ozbey setup Luke Roodenberg whose effort at the ball was poor and easily dealt with by the White Eagles defence. For Roodenberg it was his 150th match with Blacktown, a feat team-mate Kain Rastall achieved just four games previously. Where Bonnyrigg were dangerous was on their left-hand flank through David Gullo who was constantly turning Matt Pressello around in the first-half. In the 9? minute his run ended when he played a cross in but Brad Boardman could only flick the ball on with his ankle and the chance amounted to nothing. However, at this point, the game was still virtually all Blacktown, and in the 10? minute Long broke through to get a shot in on goal, though Phil Zabaks saved well at his near post. It was the last chance for Blacktown for a while as Bonnyrigg came to grips with the game. In the 15? minute Bonnyrigg nearly scored thanks to the surface as a shot from Daniel Severino along the ground took a funny bounce and Michael Herbet, the Blacktown City keeper, had to cover the ball as it shaved the far post. Moments later, Herbet was beaten as Zac Cairncross tried to clear a dangerous ball but it deflected off him and went over Herbert and bounced off the far post. On 23? minutes, some world class play by Bonnyrigg as Jamie McMaster engineered a brilliant one-two in the area, though the Blacktown defence responded and shepherded him past the far post. The 26? minute saw Long pounce on a poor pass by the Bonnyrigg defence. He played it to Roodenberg who tried his luck from distance though was denied by a strong deflection. From resulting corner Roodenberg got a low header to the ball at the near post only for it to be cleared off the line by the defence. The ball came back into the penalty-area and Ozbey back-heeled it goalwards only for Zabaks to respond brilliantly and thwart the opportunity. Despite possession going Bonnyrigg?s way their chances on goal during this period were few. In-fact, despite holding less of the ball, Blacktown extremely dangerous on the counter-attack. Tolgey Ozbey had a penalty claim dismissed by the referee on the half hour. It was a tough period of the game for the referee as he had to maintain control as just a minute later Jamie McMaster and Kain Rastall almost came to blows as McMaster pulled Rastall to the ground but was not carded. On 33? minutes Severino played Daniel Gullo seemingly through on goal but the ball came off the youngster?s knee and Herbert got to the ball first. Two minutes later, it looked like Brad Boardman would put the visitors in front as he pulled the ball down only metres from goal but as he pulled the trigger Tyler Simpson, playing another strong game in defence with Luka Dukic, got a tackle in on the burly striker to put him off balance and fire his effort over the crossbar. The ball then went up the other end of the field and Tolgay Ozbey tried beating his markers, Wade Oostendorp and Vuko Tomasevic, only to be crunched between them. The referee immediately pointed to the spot and Ozbey got up and smashed the ball in with a fierce shot to send Blacktown City ahead. Again in the 40? minute, the surface nearly came to Bonnyrigg?s aid as Daniel Severino departed from his usual free-kicks to put one along the ground that bounced off the surface and Herbert had to pull off a fingertip save. Then Ozbey almost scored again, denied by a brilliant save once more from Zabaks, with Ante Deur unable to get to the rebound before the ball went out for a corner. Moments prior to the break, Boardman was tripped just outside the area but Bonnyrigg?s Severino was unable to produce one of his famous free-kicks, and the dead ball play came to nothing. Just before half-time a Milorad Simonovic run saw the ball end up eventually with McMaster who put a great shot just the wrong side of the near post. Following the break, as the patrons were taking their seat after the break, Long and Ozbey combined only for Zabaks to shut the play down at the near post with a point-blank save. In the moments that ensued Blacktown City lost their composure but again Bonnyrigg could not convert good play into shots on target. It was to be costly on 53? minutes as Mitchell Long doubled his side?s lead. Ozbey played the ball through to Long who flicked it on with his toes, over Zabaks, and into the back of the net. Kain Rastall nearly put the result beyond doubt for the home-side as he ran through the midfield and ended up in the penalty-area. As he came to the last defender he shot and the ball curled magnificently but only onto the crossbar. Still Bonnyrigg did not give up and on the hour McMaster fired the ball over the target after good lead-up play. Four minutes later Shane Webb played the ball to Simonovic who also fired the ball over the crossbar with a powerful effort. Then it was Blacktown?s turn to sacrifice chances. First Ozbey could not beat Zabaks one-on-one, and then Mitchell Long made a terrific run right through the centre of the park only to be tackled by Gullo who ran twenty-five metres to make the challenge in the area when everyone else had seemingly given up. In the 69? minute Cairncross was red carded and this gave Bonnyrigg added life, but still they could not score as Blacktown kept their shape behind the ball. Blacktown had a great substitute of their own as Joel Chianese sparked the side once he entered the fray. In the end though there were no more goals on this day. The closest final chance went to Tomasevic who fired the ball from midfield and Herbert had to reach for the ball at full stretch. ?We had enough chances and did not take them. Blacktown took their few chances. They counter-attacked us well today. We just did not move the ball quick enough. We can?t give away goals like the second one and expect to get points from the game.? ?We started well today and put pressure on them early. They had a couple of good chances and then so did we, only to be denied by world class saves from Zabaks. ?In the second-half we also came out positively and scored our second goal and then the chances came our way. On the balance of chances we deserved to win today but we played a top class team and are very excited to come away with a positive result against such a great team. The match was a credit to both sides.? In the earlier Grade-20?s match Bonnyrigg came from 2-0 down to draw level, only to immediately leak another goal and lose 3-2 to Blacktown City. Yellow Cards: Pressello 14?, Rastall 30?, Roodenberg 41? Nikas stated that he enjoyed his time with the Mariners and hopes that he can once again be part of the A-League set-up. ?I enjoyed the experience and obviously want to get back to the A-League but I have to be patient. ?I sat down with Arnie,(Graham Arnold who took over from Lawrie McKinna as coach of the Mariners) and we had a good chat and decided the best way forward for me was to get some more playing time so I have been lucky enough to come back to the Sharks.? Nikas was a stand-out in the NSW Premier League for the Sharks in 2009 so does he feel he has anything to prove? ?Only to myself I suppose as I had a very good season with both Sutherland and at Youth level with the Mariners and after a couple of weeks off I have the hunger back and am happy to be playing again.  ?Obviously I want to get back into the A-League and see how far I can go and perhaps in the future I would like to try my hand overseas but I am not looking to do that in the immediate future. ?I do have an agent now and he will look after that side of things as I just want to concentrate on playing football and coming back to the Sharks is better than me just sitting around to see if anything develops. ?I want to regain my sharpness and after coming on as a late substitute against A.P.I.A.-Leichhardt Tigers last week I am looking forward to Sydney United and beyond and if we can emulate what we did last season in the league (Grand Final winners) it will be good for the club and me. ?We have some great players at Sutherland and George Souris (Captain and central defender) has helped me greatly along with the other lads so it has been quite easy to slip back into training with the side as there is a great team spirit at the club.? One thing to notice about Nikas is the way he has his feet on the ground and takes things as they come which is why he stresses he is concentrating on his football and if he can do that the rest will take care of itself. The NSW Premier League is lucky to have so many talented youngsters taking the field for the various clubs who have the ability to go on and take their careers to the highest levels which is why this competition is healthy and noted for producing some of the best players in the country. Long may that continue and, perhaps, in Nikas they have a rising star that will shine far brighter down the years.